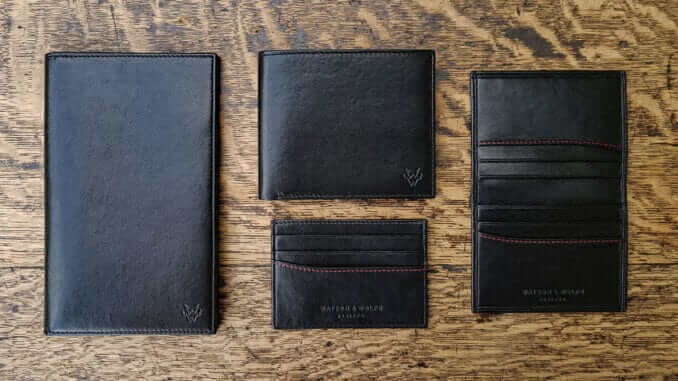 Watson & Wolfe are a British brand based in Surrey with a retail store online, whose aim is to fill the gap in the rapidly growing vegan market by producing luxury products for men. Their accessories are vegan and PETA approved, and are created predominantly from plants and recycled plastic. Watson & Wolfe have designed a luxury range of seven items: a wallet, credit card case, travel wallet, a washbag and a gym bag. The products start at £28 and are made from high quality VegLeather, and a lining made entirely from recycled plastic bottles. The packaging is fully sustainable and recyclable.